New Orleans has to be one of my favorite southern cities to visit. Having been 6 times so far, mostly for fraternity functions, I have gotten to see a lot of quintessential NOLA. I have had my fair share of trips up and down the notorious Bourbon St., walked along the river in the historical French Quarter, had my palm read at Marie Laveau's house of Voodoo, eaten at the famous Commander's Palace in the Garden District, and listened to scary tales of ghouls and ghosts by some of New Orleans's expertly trained tour guides. Needless to say, I'm pretty much past the typical tourist haunts by now. Just last weekend, I packed up my bags and headed West on the long stretch of I-10 highway to the coastal city. It was my very best gal pal from high school, Larkie's, bachelorette party and I couldn't pass up the change to see her and one of my beloved cities. After a couple of long, but very fun nights out on Bourbon, we needed a good meal to set us right before parting our ways a traveling back to our respective homes. 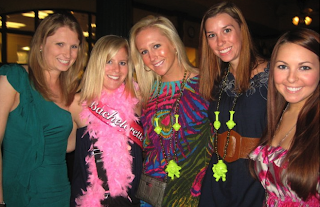 One of the girls in our group, Laura, suggested that we head to a place right around the corner from out hotel on Canal St. that would be sure to satisfy the lingering effects of the weekend's festivities. I had never heard of the place so I was intrigued to discover what this down home eatery had to offer. 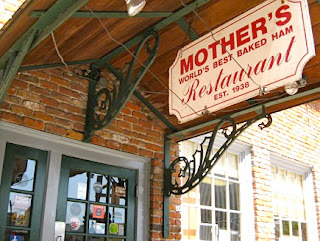 Just a short walk across Canal St. and we arrived at Mother's, situated in the bottom of an old three story building. From the outside it doesn't look like much, but there was a decent line forming from outside of the front door that made me want to know what all the fuss was about even more! Finally, we made it inside, where menus were shoved in our hands and we were directed to another line, the order line. The place was certainly a buzz with locals talking loudly over heaping piles of grits, tourists standing awkwardly off to the side, waiting for their queue to take a seat, and servers passing between tables with pipping hot plates of Mother's famous ham as if it was a grand choreographed dance. The atmosphere was busy but exciting, reminiscent of the soda fountain and diner days of the 50s and 60s. Offering breakfast, lunch, and dinner, seven days a week from 7am till 10pm, Mother's is definitely a New Orleans tradition that cannot be missed. They even host parties and provide take out to those who request! Once we made it through the order line, we grabbed our drinks and navigated through the jungle of different rooms, searching for an empty table that could seat all of us. Finally we found one and quickly took a seat. Our food was literally out in a flash and the servers couldn't have been more helpful with extra butter, the forgotten slices of toast, and another refill of OJ. Though I usually am very mindful of what I eat, I took this opportunity to throw up my hands and surrender to the waffle. Thank goodness I did because that had to be one of the best waffles I've ever had. 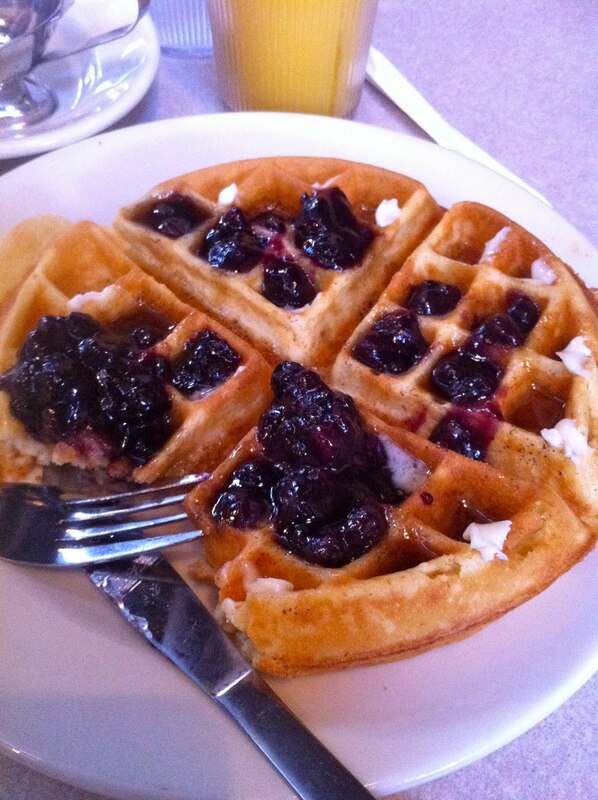 It was the perfect fluffy consistency and the blueberry sauce that it came with was dense and decadent like a pie. Other offerings that our group of girls got to taste were the shrimp omelette etouffee, a delicious play on the traditional cajun specialty, and the homemade biscuits with "debris". Debris, as they call it, is the bits of roast beef that fall into the gravy during the carving process. Needless to say, Mother's has definitely found its way onto my list of "must sees" in New Orleans and I will definitely be back for round two on my next trip to this beloved southern sea town.